It is no mere coincidence that Leitner Leinen was established in Austria’s Mühlviertel region, where, since the Middle Ages, flax has been cultivated out of the necessity of making a virtue out of the unfavourable soil conditions. In fact, flowering flax fields have dominated the landscape of the Mühlviertel for centuries. Out of what initially began as a cottage industry for local farmers, emerged as a specialist trade in the main towns in the 18th century that was engaged in weaving canvas and linen textiles, and in bleaching, dying and the associated retail business. During the Renaissance, the linen from the area between the Großer Mühl and the Danube was a sought-after quality product that equalled the standards of its competitors in France and Belgium. This is still true today. 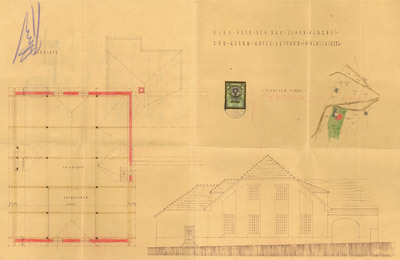 The linen trader Franz Leitner acquires house no. 53 in the Steinwände, the present-day Stifterstraße 25 in Ulrichsberg at the foot of the Bohemian Mountains in the border triangle between Austria, Germany and what is today, the Czech Republic. Together with weavers from the immediate vicinity, they produced canvas. Kajetan Leitner takes over the management. 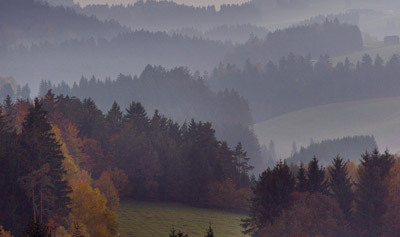 While the industrial revolution is taking place in the major European cities, the Mühlviertel remains traditional: the flax or "hair", as the Mühlviertel inhabitants call the fibre plant, remains one of the most important economic factors in the region up to the middle of the 19th century. 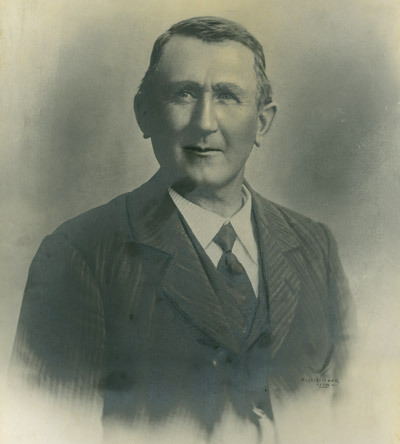 After the death of the father, the management goes to Adolf Leitner, who continues the very traditional crafts as it has always been pursued. At the beginning of the 20th century local farmers still bleach materials while working from home. Some grow flax to produce linseed oil for their own use. Today, linseed oil is an indispensable ingredient in many Mühlviertler dishes - and many even swear by its healing properties. For the finishing of the linens, a mechanical mangle is purchased by the Leitner Leinen company, specifically a so-called box mangle - a complex, room-sized mechanism including a winding loom and several rollers, which roll the voluminous linens, and in doing so gives them a smooth, glossy surface. The industrial revolution arrives in the Mühlviertel. 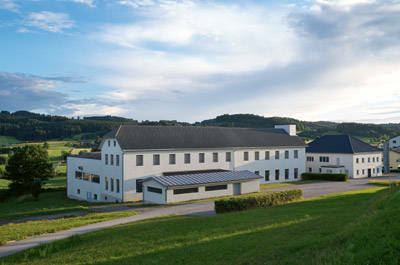 At Leitner Leinen, a new weaving hall is developed and equipped with 24 modern diesel-powered looms from Bohemia. The linen trade flourishes unchanged: in 1930 flax is still grown in the Mühlviertel, on an area of 560 hectares. The industrialization is unstoppable: looms and mangles in the house of Leitner Leinen are being electrified and a calendar - a multi-layered industrial mangle - from Bohemia expands the production technology. 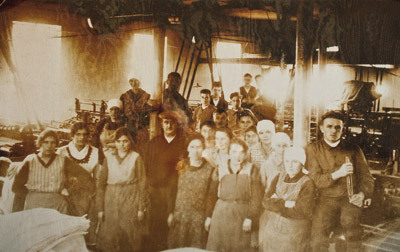 As it continued to grow, the company benefits from its location as the large number of weavers, traditionally trained in the Mühlviertel, can be retrained in the new production techniques. The next generational change in the house of Leitner Leinen occurs when Adolf Leitner Jr. takes over the management. 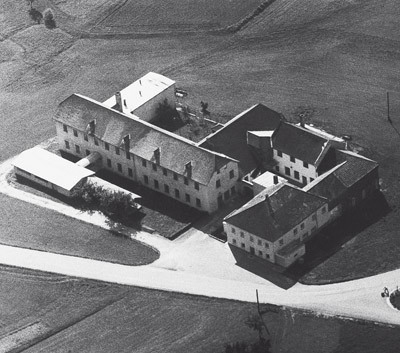 A year later, in 1955, the Haslach weaving school in the province of Upper Austria opens the doors to its new building and training concept. 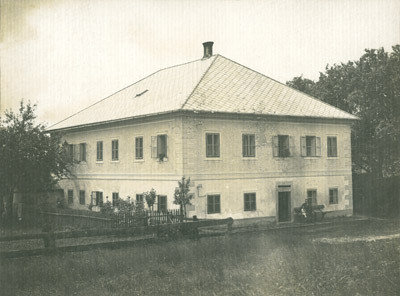 The school was already founded in 1883 because of the enormous importance of linen weaving. 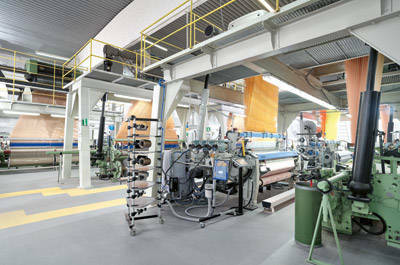 Leitner Leinen extends its weaving operation and carries out production on the looms belonging to Saurer, a similarly dynamic family-run business in Switzerland. The production facilities are supplemented with a sizing facility. Through the process of sizing, the linen yarn becomes smoother and stronger, increasing the running capacities on the loom. 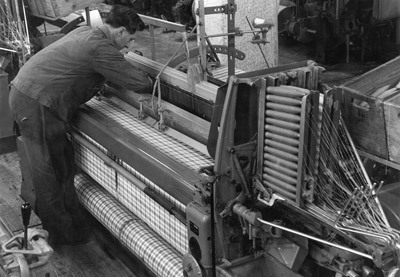 During the 1960s the first structural changes are noticeable in the Mühlviertel: the linen trade gradually loses in importance as the industry mainstay, and increasingly begins to move more and more into the area of nostalgic traditions. This however is not the case with Leitner Leinen. 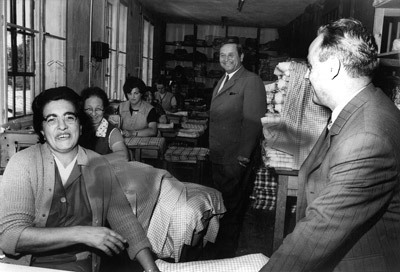 In 1971, the Haslach Association establishes the Weaving Museum that documents the history of local textiles. The operation at Leitner Leinen is certainly no museum piece. Here it is thriving. 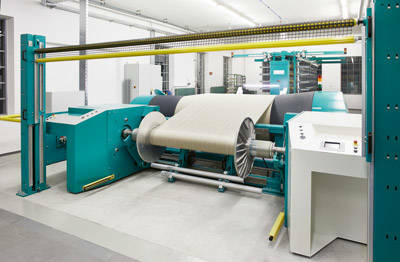 Ulrichsberg now boasts a large new air-conditioned weaving hall. 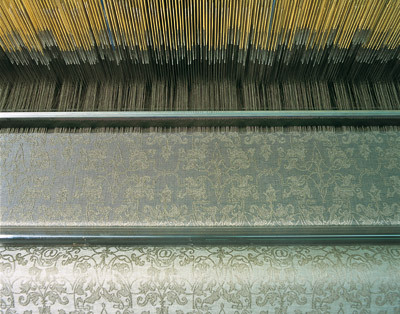 The production of artistic linen patterns begins with Jacquard weaving. In the meantime, Leitner Leinen has 32 looms, four of which are Jacquard looms. Friedrich Leitner is appointed the new Managing Director. 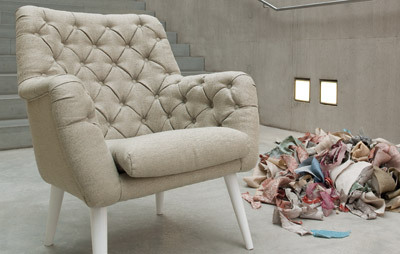 Leitner Leinen brings a Piqué collection onto the market under the name of "Greenland". 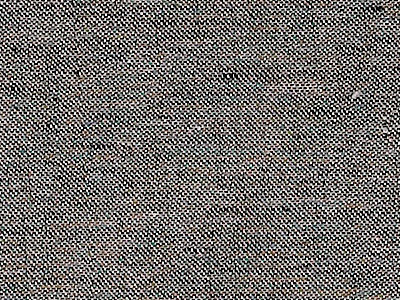 Piqué is a quilting-like weaving technique that is suitable for household textiles. 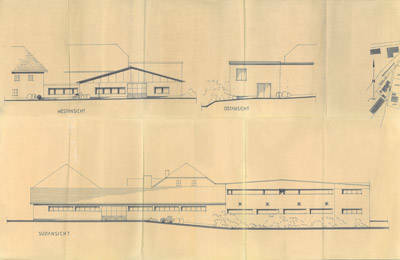 In 1988, a dedicated hall for in-house production follows. With its ready-made products and its innovative approach to the classic material, Leitner Leinen speaks not only to businesses, but also targets the end customer. This signals a break with tradition, but a step into the future. Tradition is good, quality is better, optimisation is essential. Leitner Leinen leads with CIP, a "continuous improvement process". This method, originally from Japan, prevailed in European industry in the early 1990s. Thus Leitner Leinen is one of the first companies to connect quality with effectiveness. Under the brand name "LEITNER 1853", the company presents a new bed linen and table linen collection made of pure linen. 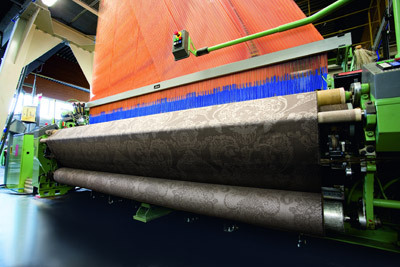 The first jacquard loom with a finished weaving width of 280 cm is purchased for this new segment of the market. A little later, in 1998, the new factory outlet opens at the location facility in Ulrichsberg signalling a further commitment to the end customer. In the same year, Leitner Leinen receives the "Salzburger Prize" of the Austrian Textile Newspaper, one of the most respected textile awards in Austria. 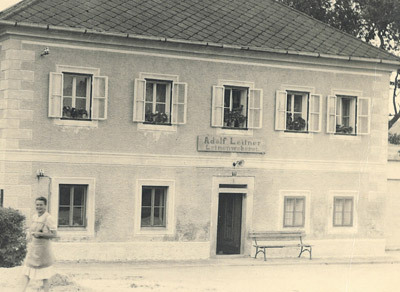 Leitner Leinen celebrates its 150th anniversary. As one of the last weaving mills in the Mühlviertel region and one of the few remaining mills in Austria we are continuing a story of generations and preserving the textile heritage of Austria. Our range expands. A new weaving loom paves new ways. From now on also terrycloth is produced in Ulrichsberg. Time for change. In 2009 Leitner Leinen, as the first recepient ever, is honoured with the award "Texile Company of the Year". The years prior, production facilities are being modernized and state of the art technology is introduced. The weaving mill’s old structures are renovated and finally shine in new splendour. 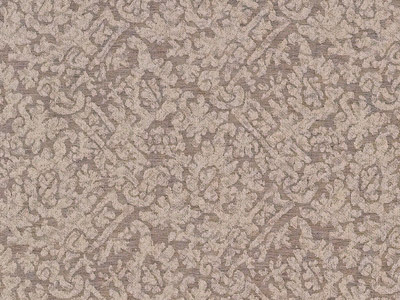 Leitner Leinen presents it’s first collection of furniture fabrics - and remains true to its roots: By using tough specialty-yarns even our new upholstery-fabrics can be made of 100% linen. Family affairs. For more than 160 years clients worldwide have been enjoying products made in our manufactory. 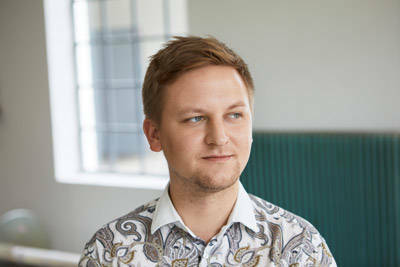 With Jakob Leitner the 6th generation enters the company. Tradition is something of beauty - as is innovation. Hence: old machines out you go! The installation of a new warping machine is another commitment to producing locally for years to come. We keep it Made in Austria transforming our manufactory into the 21st century.